Did everyone enjoy the holidays? Did you party on New Year’s Eve? 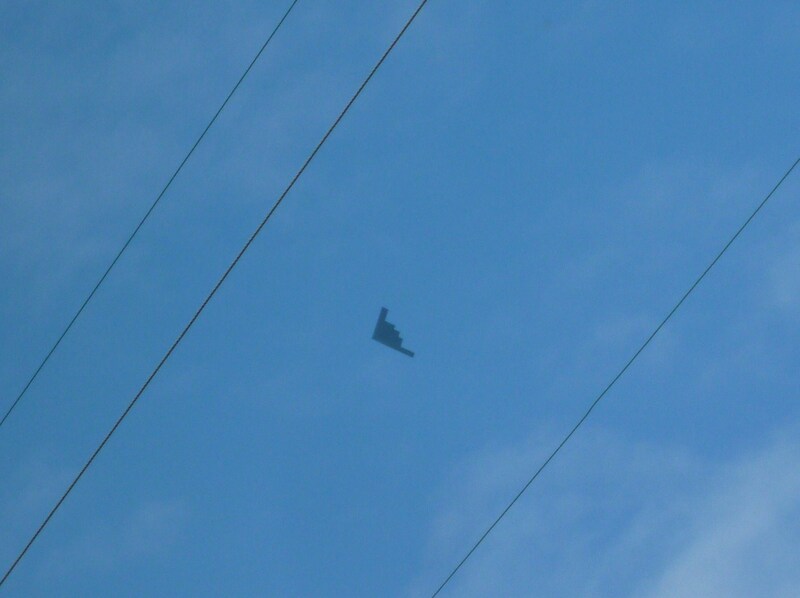 We live about 15 miles from the Rose Bowl … the B2 Bomber was killing time before the football game. This usually happens every New Year’s Day and we never get tired of seeing it! I had to get back in the kitchen so that I didn’t burn the new cookie creation. This is what a little of this and that looks like after its baked! Preheat oven to 375°F. Grease a 9″x9″ square pan. 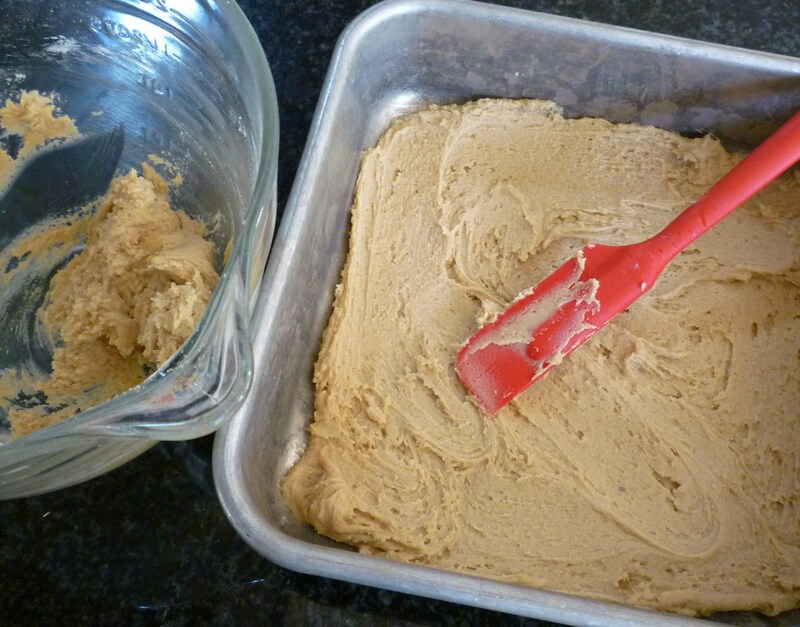 Put butter,vanilla and sugars in a medium mixing bowl and beat well by hand or use an electric mixer. Add flour, baking soda, salt and beat well. 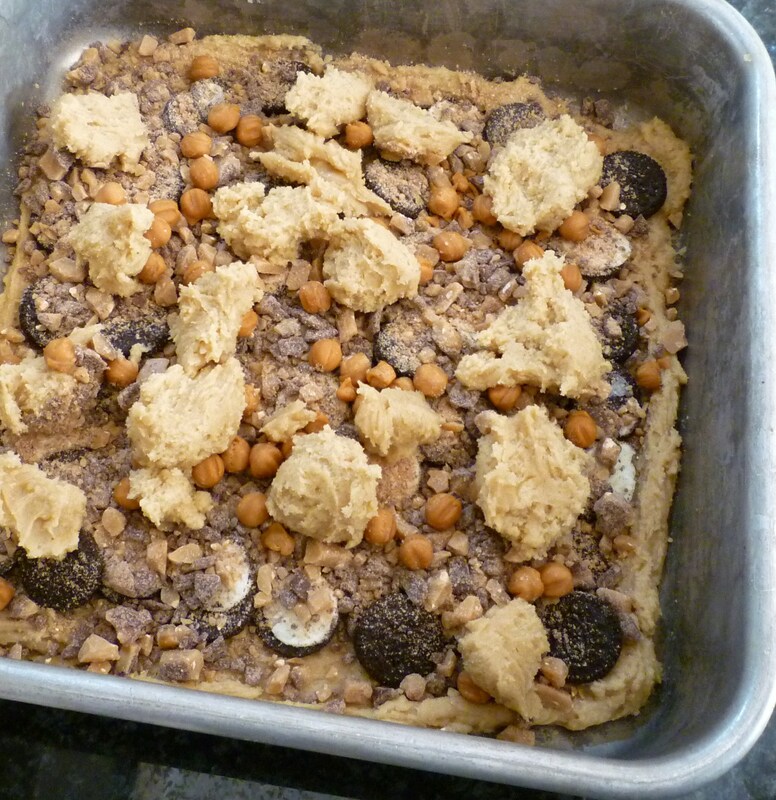 Spread 2/3 of cookie dough in prepared pan. 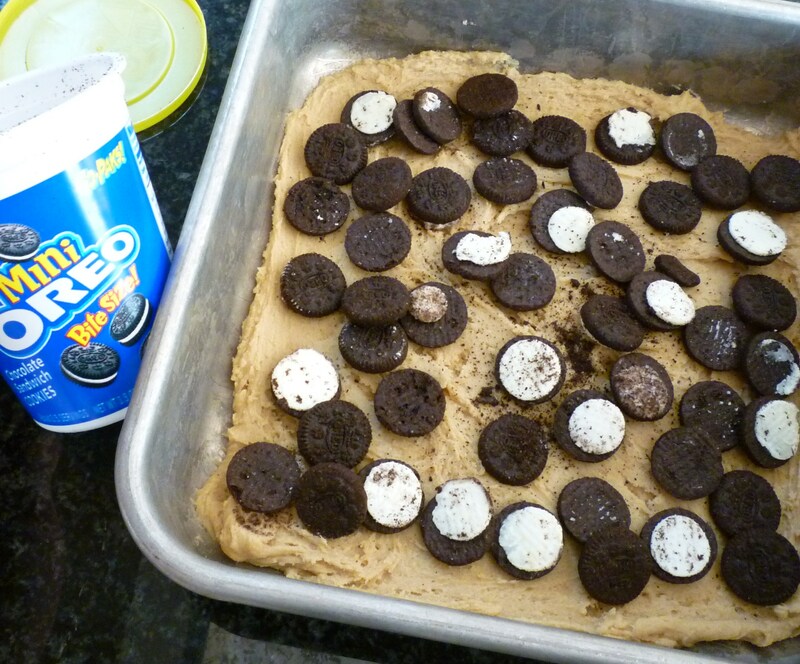 Open up (separate) Oreo cookies and distribute evenly over cookie dough. 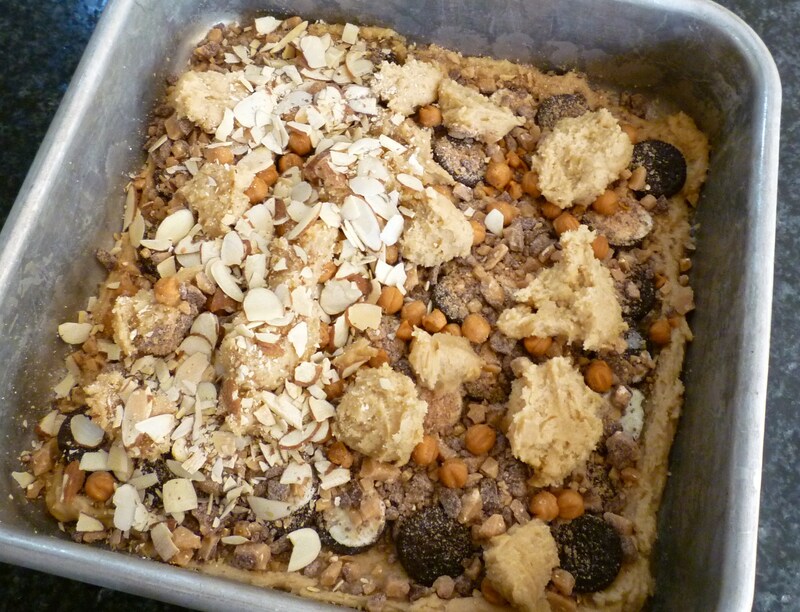 Drop remaining cookie dough on top, as evenly as possible. 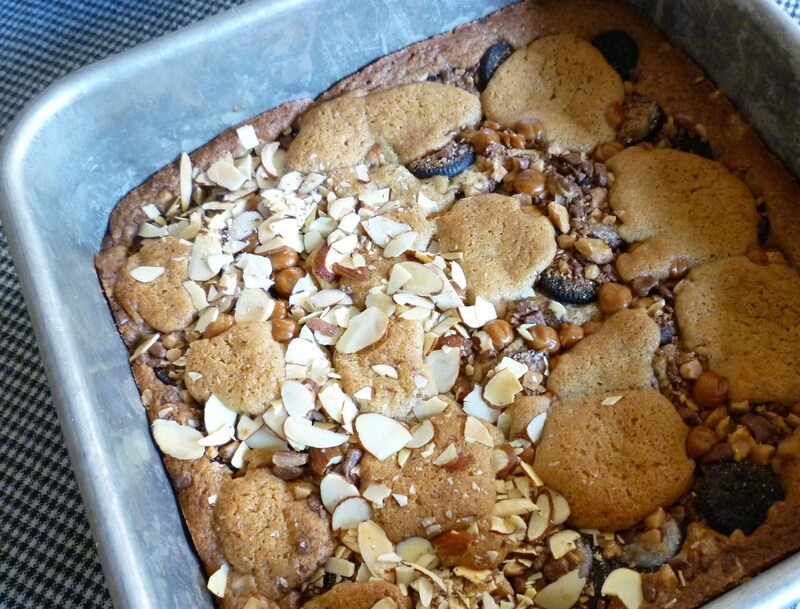 Sprinkle almonds on top (I did 1/2 with nuts and left 1/2 plain). Bake for 18-22 minutes or until golden brown. 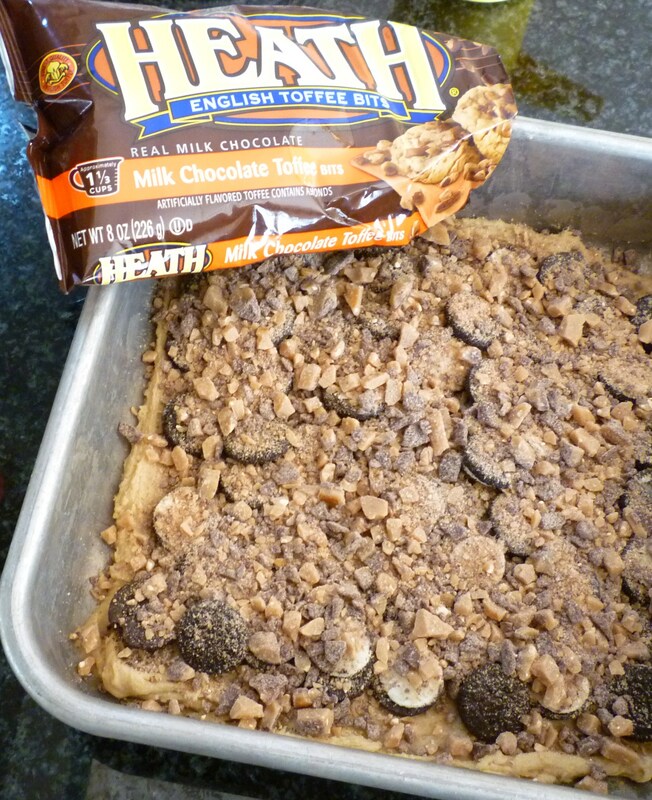 Cool and cut into squares. 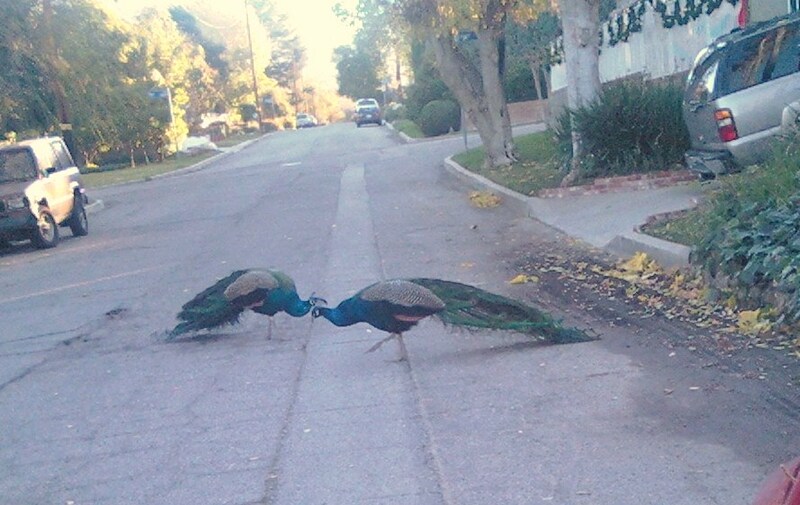 The peacocks wander the neighborhood … never get tired of seeing them either! Beautiful scenery in the sky! I love the idea of cleaning out the cupboard cookies. They look divine. 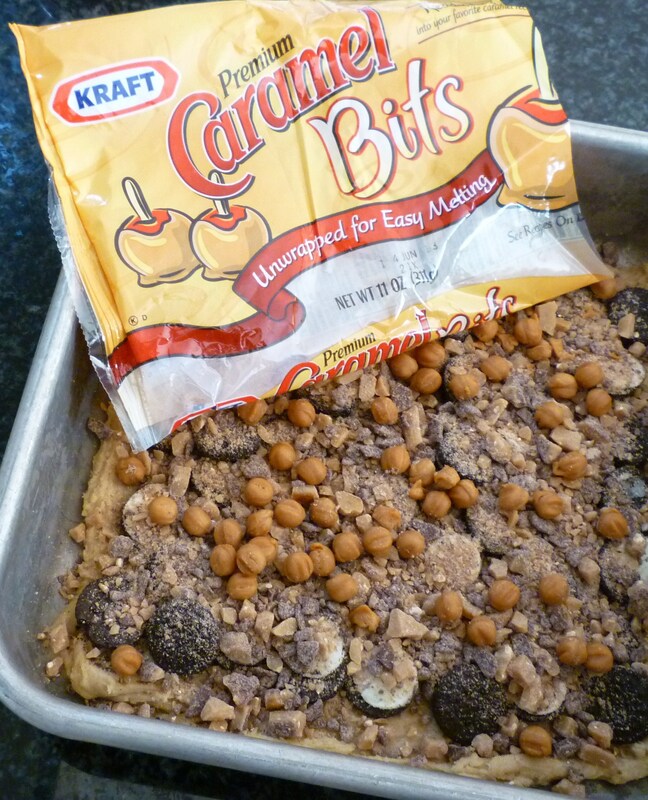 Oreos, toffee bits, caramel and almonds sound so great together!! Good to see the peacocks are still there. 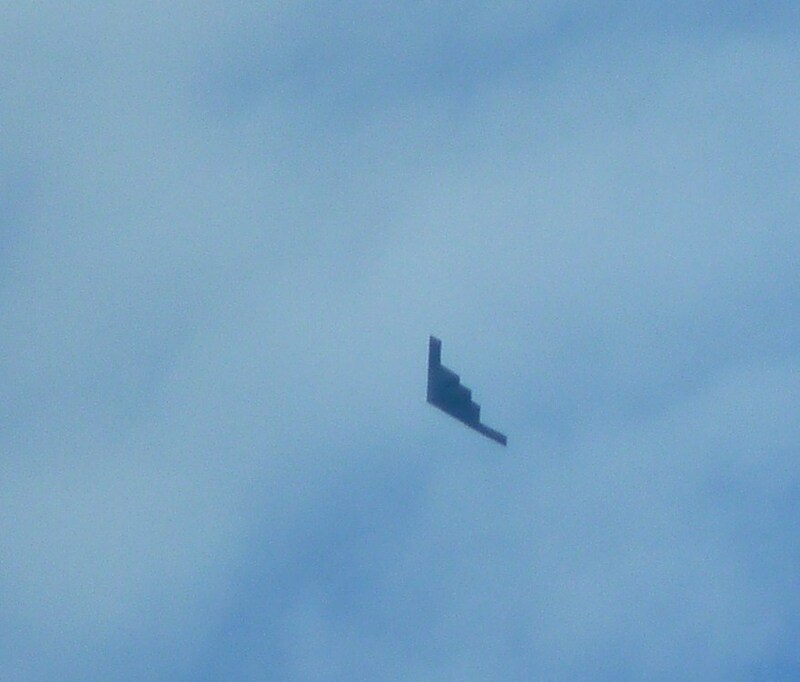 I always enjoyed seeing them when I lived out there. Your cookies sound great. I made oatmeal raisin cookies recently and had part of a bag of Heath chips and part of a bag of butterscotch chips that I threw in. They were the best oatmeal cookies. Brilliant! You have a locked down area. I am still working on that here in Bam’s Kitchen but those little snoopy teenagers find everything. We are practually neighbors. I live about 10 miles from the El Toro airfield and when they closed it I missed hearing the helecopters everyday. I love these cookies as they are like stew, you clean out everything in the freezer and when my husband makes a sandwich, the fridge gets cleaned out too. 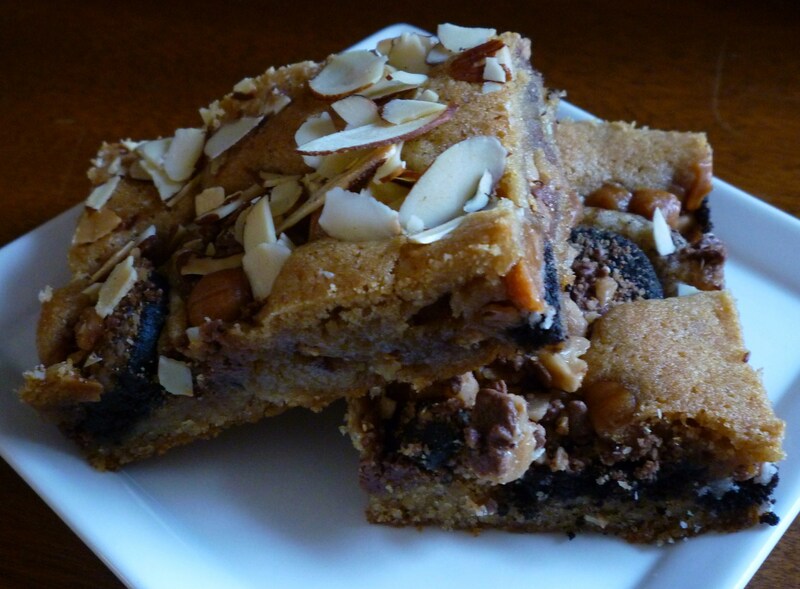 Thank you for this recipe as I always have ingredients left over and now I can use them. There is no end to the possibilties of these cookies.